Epic didn’t do so hot with the critics, so I’m switching it out at the Oscars for Turbo for lack of better options at this point. 1986 was a landmark year for animation, with twelve animated features hitting theatres, a record not surpassed until 2000. That being said, the Academy would be hard-pressed to find three decent films in the toy-commercials-disguised-as-movies marathon of the year. One bright spot was a pair of mouse movies, Disney’s The Great Mouse Detective and Don Bluth’s An American Tail. While the Disney fare certainly had its moments – including Vincent Price as the voice of the villain, and a scene of Victorian, uh, “furlesque,” let’s call it – An American Tail was the movie that took the spotlight. Though ultimate winner for Best Picture Platoon was probably the best choice, there was nothing else in the race that year that sticks out. 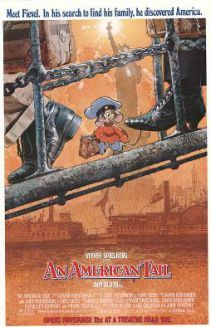 An American Tail might be the closest thing to animated Oscar bait the world will ever see until some director finally ignores Maus’s own text. This is it, ladies and gentleman. This is the snub. Just three years previously, Beauty and the Beast had crossed the threshold; that movie was good. 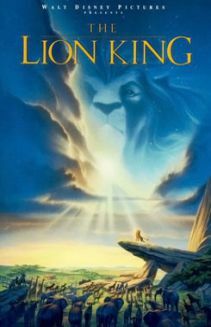 The Lion King was better; it easily went on to become what was at the time the highest grossing animated movie ever (and with its recent 3D re-release, it’s back to second). 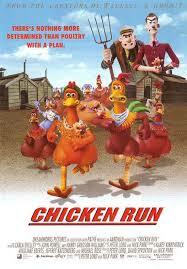 Still is the biggest box office traditionally animated movie (even before the re-release). It had two problems going in, however. First of all, Disney apparently got its lines crossed and was preparing for an all-out push for next year’s Pocahontas for the Oscar over The Lion King, a decision that was made way too early on in the production of both movies. You have to admit, it even makes sense on paper; a historical epic/romance over a funny animal movie with a farting pig. Which one sounds like Oscar bait? Secondly, it came in a pretty competitive year; this would be another Dumbo, except I won’t say Forrest Gump didn’t deserve the award, because I like that movie; yes, even over Pulp Fiction and The Shawshank Redemption. But I’d put The Lion King over all of them in a heartbeat. Oh, and Quiz Show? What is that movie even about? This movie not getting a Best Picture nomination is generally considered the snub that forced the Academy to form the Best Animated Feature category. The Academy has since given directors Peter Lord and Nick Park the award for Best Animated Feature for Wallace and Gromit in the Curse of the Were-Rabbit, partially as a make-up for the snub, partially because it was the best animated feature of that year. But it shouldn’t have come to that, especially when you consider one director, Steven Soderbergh, had two movies, Erin Brockovich and Traffic, nominated. Share the love, guys. Also, Gladiator for Best Picture? Really? Okay, so I’ve got to put a Pixar movie in here somewhere, but the only furry contenders include A Bug’s Life, which was Pixar’s Cars until Pixar’s Cars, and Ratatouille, a movie I describe as “morally contemptible” when I’m in a good mood. 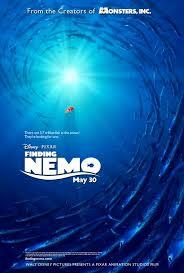 Luckily, there’s Finding Nemo, which also managed to be Pixar’s Wall-E until Pixar’s Wall-E. It came out in the year The Lord of the Rings: The Return of the King went 11 for 11 at the Oscars, so it was a good year for genre films. And the same year, we find Master and Commander: The Far Side of the Ocean, a movie with a colon, which means franchise – except, wait, where are the sequels? Oh, well, it had Russell Crowe in it, who the Academy had a collective crush and/or man-crush on at the time (see also A Beautiful Mind), so better give it a nod. Besides, he might beat us up if we don’t. I’m not here to talk about the snub this movie received at the Ursa Majors, though I’ll throw in a couple of mentions just to keep your collective level of guilt up to the proper level. I’m here for the snub it received at the Oscars. First of all, 2009 is fast getting a reputation as animated features’ anno mirabilis; it was only the second year for five nominees, and there were still movies sitting out the Best Animated Feature race that would have mopped the floor with nominees from earlier years. 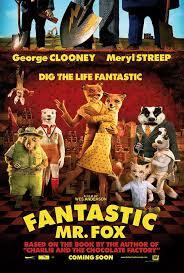 Fantastic Mr. Fox was one of the movies leading the charge. Second, 2009 was the first year of the extended Best Picture list. Though this allowed Up and District 9 a seat at the table, it mostly meant, yay, even more boring Oscar bait to wade through! The entire point of the jump to ten nominees was to give the Best Picture race a bit more variety. Thirdly, Wes Anderson is a director auteur that has yet to gain a Best Picture nod (he was so close this year with Moonrise Kingdom), which is a crime. Here was the perfect chance to throw a bone to both a frequently snubbed medium with a double nomination, and a bone to a frequently snubbed director. Nice job blowing it, Academy. Cartoon Brew has pointed to The Hollywood Reporter, which has a feature article in its June 21 issue (online on its website June 13): “’Monsters’, ‘Despicable Me 2’, ‘Turbo’: Summer’s Brutal Animation War”, by Pamela McClintock. The long article has much that will be of interest to Flayrah readers, considering how many animation features showcase anthropomorphic animals and machines. Of special interest are these paragraphs: “Late last month, Pixar and Disney Animation chief creative officer John Lasseter essentially declared war on [DreamWorks’] Katzenberg by dating a slew of untitled Pixar and Disney Animation Studios films through 2018, going so far as to claim June 17, 2016, even though DWA already had put 'How to Train Your Dragon 3' there. Never before have a Pixar and DWA movie gone up against one another. Katzenberg and Fox, where Vanessa Morrison heads up Fox Animation Studios, retaliated by flooding the calendar through 2018 with their own untitled films, even planting one on June 16, 2017, a Pixar date. Read the entire article at http://www.hollywoodreporter.com/news/monsters-despicable-me-2-turbo-565846, or see Cartoon Brew’s story at http://www.cartoonbrew.com/business/a-brutal-animation-war-is-predicted-by-the-h... for Amidi’s additional comments.